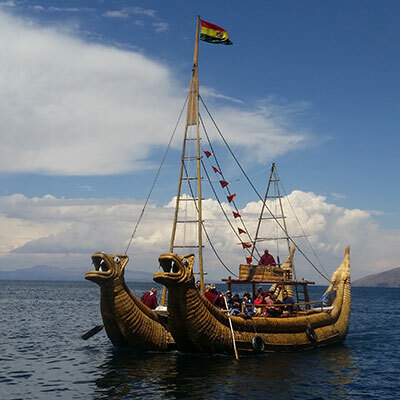 Lake Titicaca is a trekkers’ dream with trails of every imaginable variety crisscrossing its many islands. 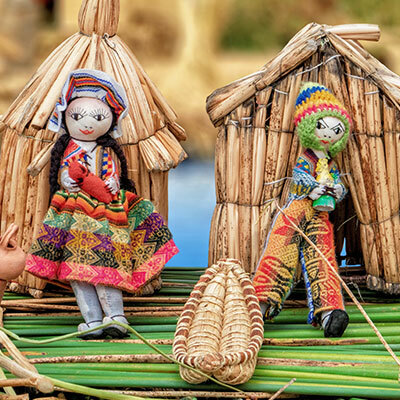 Want your Lake Titicaca private tour to revolve around hiking? No problem. 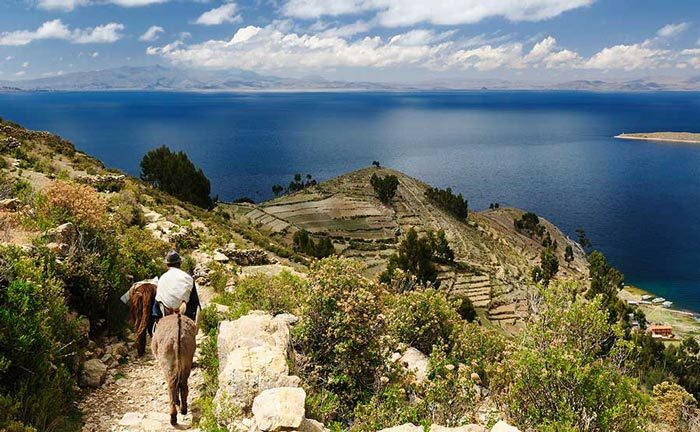 We can whisk you away to Isla del Sol, where you can test your endurance on a climb up Cerro Uma Qolla. This summit promises the kind of attention-stealing 360 degree views – of the lake and the snow-covered Cordillera Real range – that will make you instantly forget any muscular aches. Another great option is to stride from the south side to north end of the island. 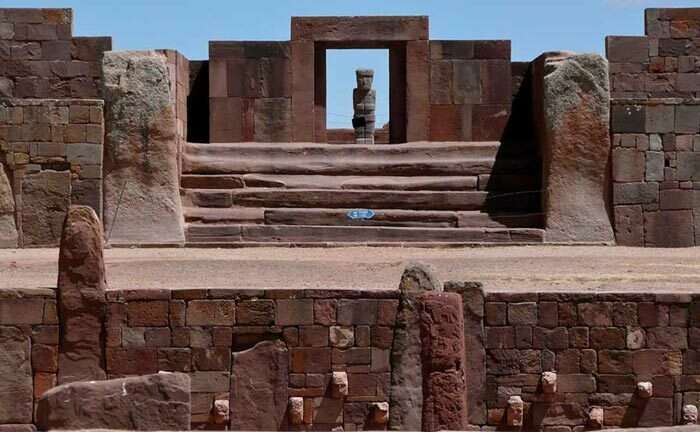 This route is peppered with reasons to pause and ponder, from glorious panoramas that will have you stopping in your tracks to the Chincana archaeological ruins and the puma-shaped Sacred Stone. 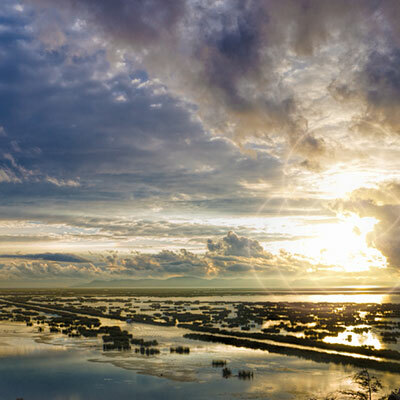 Perhaps because of the island’s fantastic lake views, sunset and sunrises here are magical. If you’re keen to stick around to see them for yourself, we can arrange for you to stay overnight in one of the quiet, friendly hostels in Ch’allapampa. 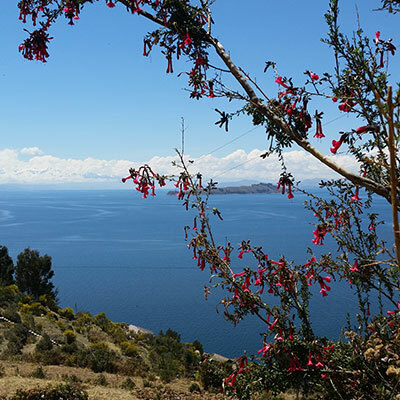 The six-hour trek from the village of Yupanqui to Copacabana on the shore of Lake Titicaca is another fabulous hike. 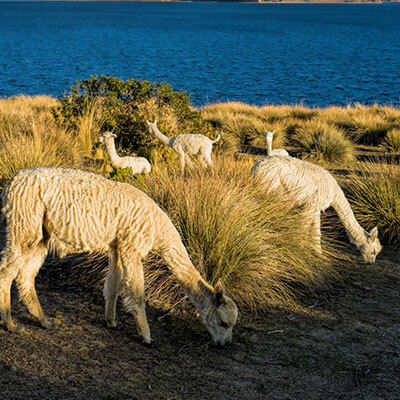 This trail weaves through fertile fields where hardy high-altitude crops, like quinoa, kiwicha, and potatoes, thrive, and gives walkers a real feel for the pastoral countryside surrounding the lake. The distant views of the rising and falling Cordillera Real peaks are another important drawcard. Still hungry for more high-energy hikes? 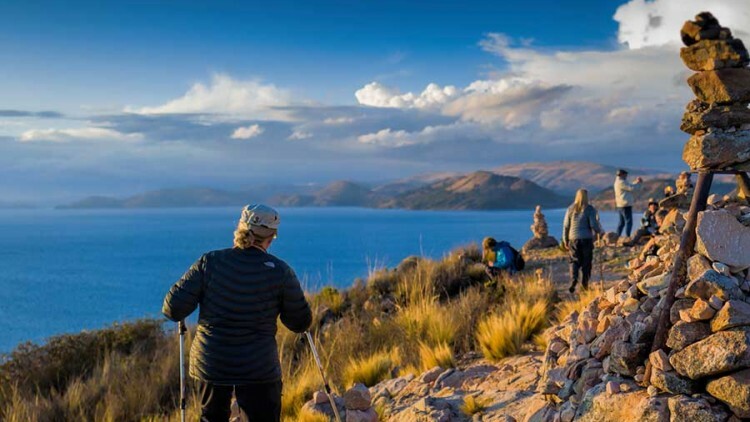 You may want to squeeze in the short but steep climb up Cerro Calvario in Copacabana into your Lake Titicaca luxury travel agenda. The path, a religious pilgrimage route for locals, is marked by statues depicting the 14 Stations of the Cross, but even non-believers will find reason to rejoice at the top with the excellent panoramas of the lake and town below. 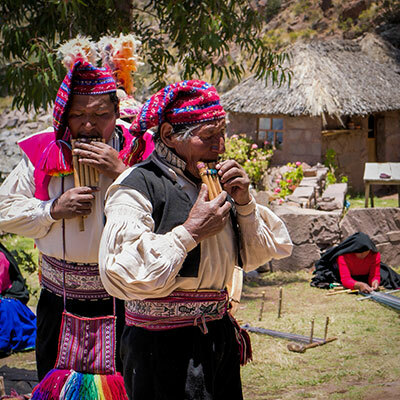 Before you begin planning your private, hike-centric tour of Lake Titicaca, there is one thing to bear in mind. 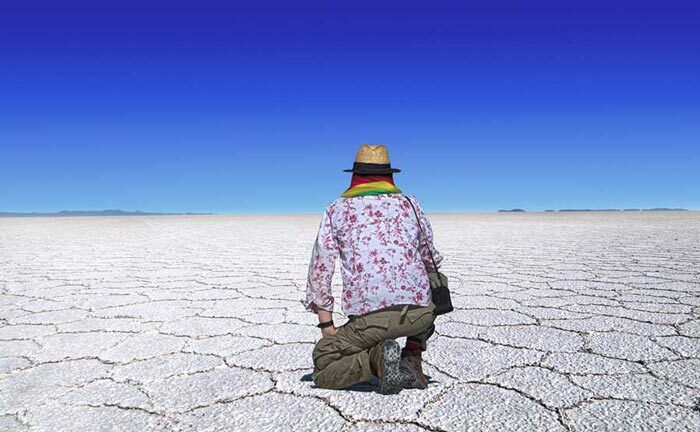 Although hikes are not especially strenuous, they are at high altitude and therefore, you’ll need to acclimatize to the high elevation before taking them on.